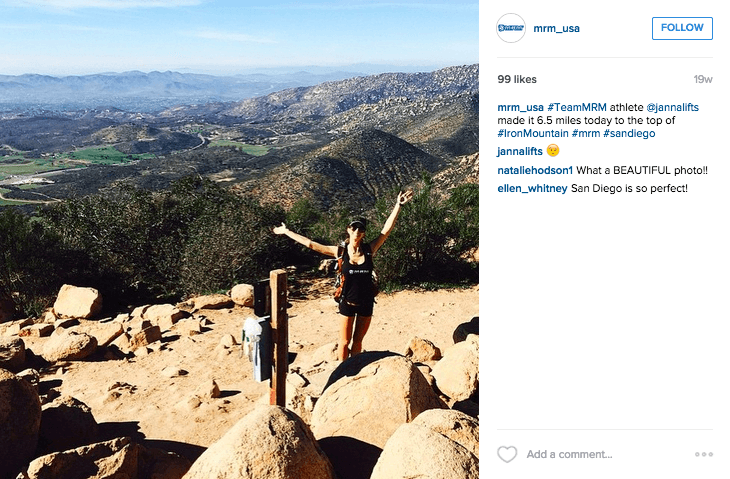 Unless you’ve been living under a rock, you’ve heard of Instagram. More than 70 million photos and videos are shared each day, and last count, the Instagram community grew to more than 300 million Instagrammers globally! Maybe you’re already an Instagram pro, or perhaps it’s not right for you or your store at the moment. But, whatever your position on it, there are compelling reasons for you to consider creating an Instagram account for your store if you haven’t, especially if you have a product line with global appeal since than 70% of the Instagram community members are outside the US, with the most rapid growth happening in Europe, Brazil and Russia. Here are a few tips to get you started and ideas to help inspire you! If you’re still not convinced that Instagram is right for your business — what with all the food photos, selfies, baby pictures, and cat poses shared by your friends or family, it seems like one big bazaar! But, consider that major global brands are effectively using Instagram to present their products, communicate with customers and attract new ones. Why, you ask? 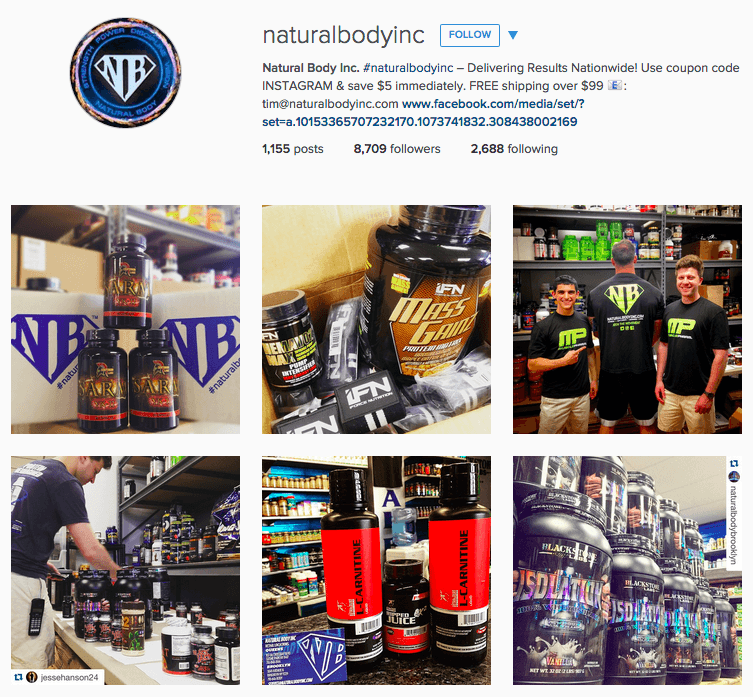 Take a look at posts by Natural Body Inc featuring a mix of photos of products, customers, and store promotions to stay connected with their community. Ready to dive in? Great, let’s do it! First, make sure you have a few things to set up your Instagram page. For instance, your store logo, a brief description of your store, an active link to your online store, as well as other details you want to share like your store location if you have a physical storefront. Once you have your page details setup, get to posting! Try to post once a day, any more than that and you run the risk of overloading your audience. Instagram allows you to tell a story through images. And you have to take advantage of it! Take out your phone and take pictures. People are interested to see inspiring images or photos from behind-the-scenes, not dry advertising. Also, be sure to add hashtags to posts — the more, the better, in order to get your images picked up in hashtag searches. 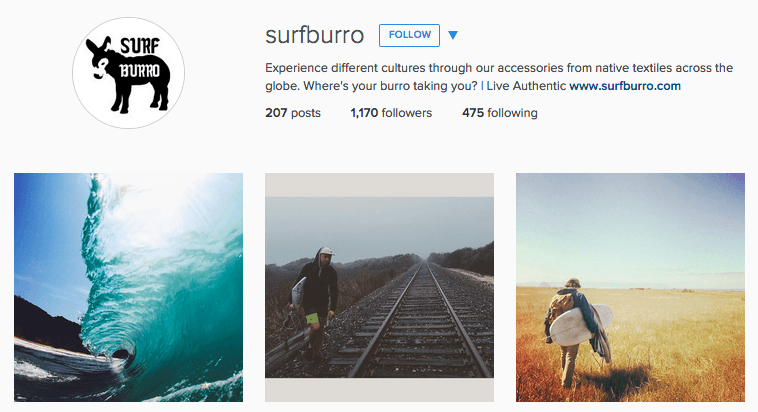 This is an obvious one, but consider how you feature your products on Instagram. Unlike your online store, this is an opportunity to communicate the personality of your products or brand. 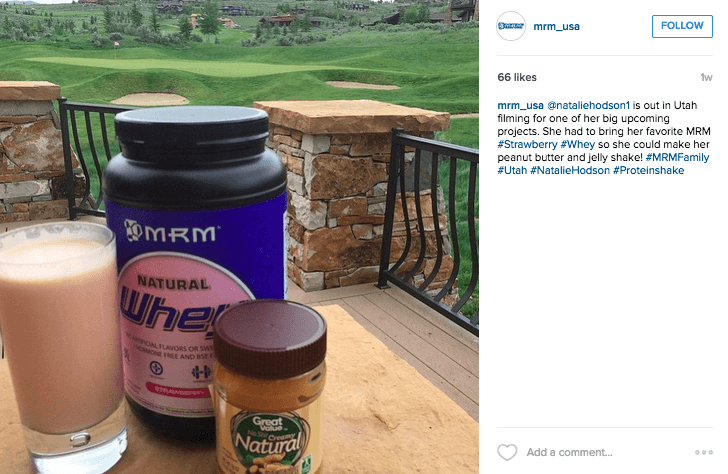 If you sell sports and wellness supplements like MRM, showcase your products in front of a beautiful backdrop that your audience can connect to. Mix up your product images with where and how people use it! 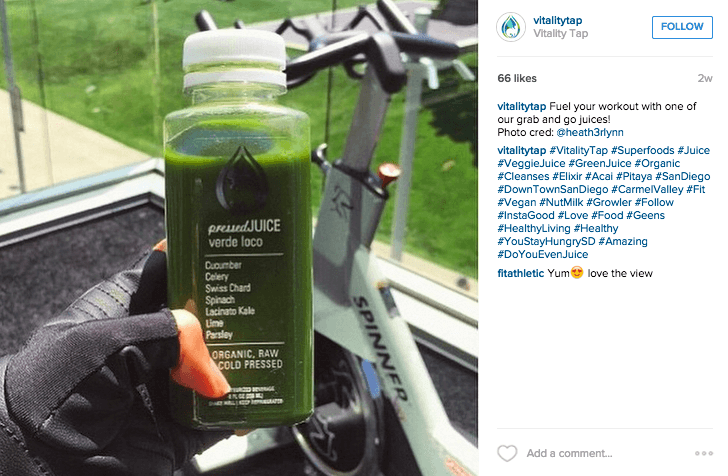 Like taking a VitalityTap juice out to the gym for a post-spin pick-me-up. This is the perfect spot to share photos that show your followers what happens behind-the-scenes at their favorite stores! Think about sharing photos of your employees having a good time, how products are created, or cool things happening at your store. Opening up to the world will help your customers feel like they’re in the know about your company and help to foster customer loyalty. 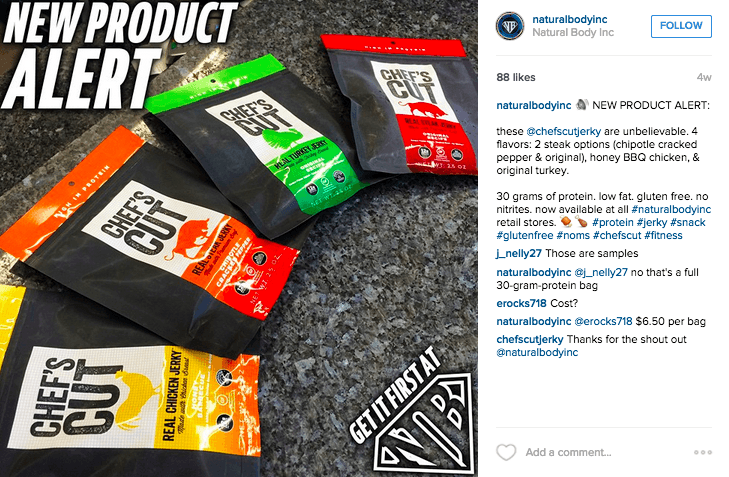 Give your loyal followers a preview of new products in your store — like Natural Body Inc who shared a new product alert to its audience with a call to action to get it here first. This is another good way to give your followers a first look and reward them for their continued loyalty. 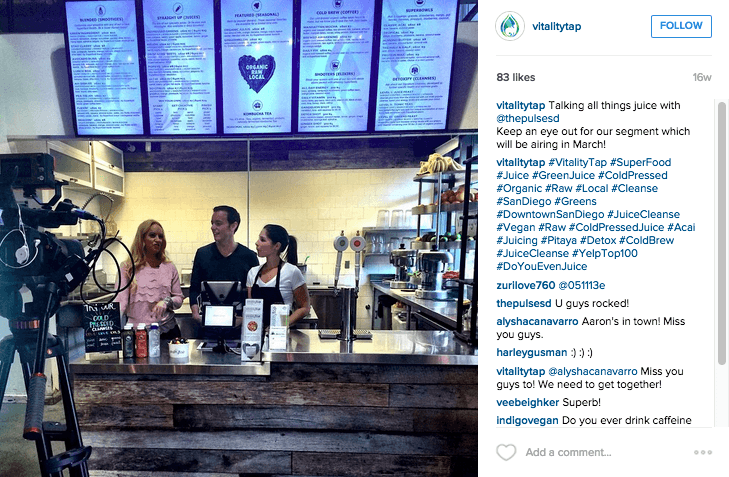 Show your customers how much you appreciate them by posting their photos in your feed. 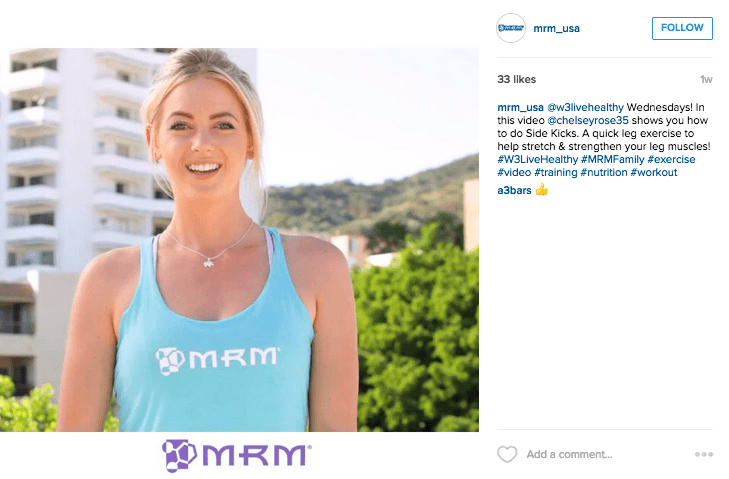 For MRM, they regularly highlight customers or ambassadors doing awesome things. This is a great motivator not only for those you support via your feed, but also to other customers who become inspired. In addition to photos, Instagram allows you to share videos. The limit is 15-seconds, but this is a good opportunity to share some cool tips or messages in a different way. Take for example, a series of videos by MRM that demonstrates different workouts that can be done anywhere outside the gym. 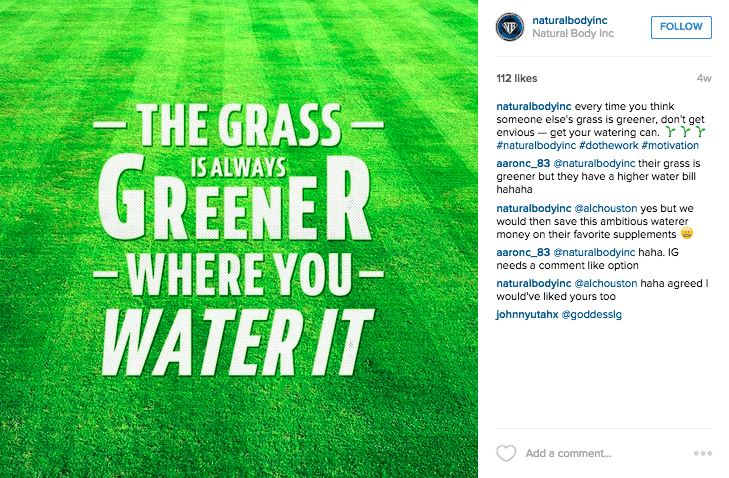 A cool way to get your customers engaged is to post inspirational quotes and/or images. This one from Natural Body Inc takes a common saying and turns it into inspiration to focus on yourself rather than others. You can use tools like Canva to create images for social media. Instagram offers a sea of opportunity for marketing, if you set aside some time to create an account and dedicate a few minutes everyday to snap an image or capture a video on your phone. It’s a great way to post unique content and share photos in a fast and engaging way that are different from other social networks. If you don’t already have an Instagram account, get to it! It’s a great way to connect with an active and diverse audience.